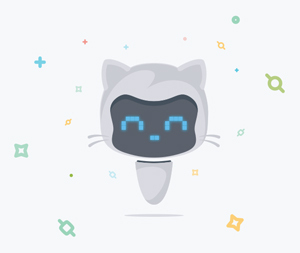 GitHub's "friendly bot" guides learners through course activities. GitHub has released four new courses on its Learning Lab, an online learning hub intended for people "of all skill levels." Learning Lab was launched earlier this year to provide a home for GitHub-produced lessons that can be taken within the developer sharing and collaboration platform. All of the courses are free. Introduction to HTML, to help aspiring developers create simple web pages. Learning Lab is also available in the GitHub Marketplace, which offers integrations that users can add to their repositories. Use of the lessons requires installing the GitHub Learning Lab, which uses a "friendly bot" to take the student through a series of "fun, practical projects."